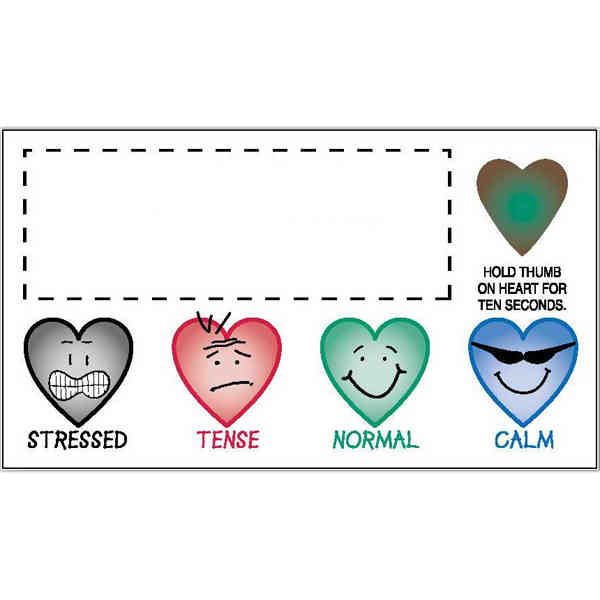 Put your whole heart into your next campaign by investing in these stress test business cards! These flexible white business card magnets feature 4 heart shaped expression designs and a stress-test indicator attached. They are made in the USA of non-toxic materials, features a 20 mil. thickness and square corners. Customize each one with company name or logo to create a terrific giveaway that is sure to promote your brand! Designed for indoor use only. Ideal for doctor offices, yoga classes, therapists, marketing giveaways and much more! Imprint Size:7/8" x 2 1/2"